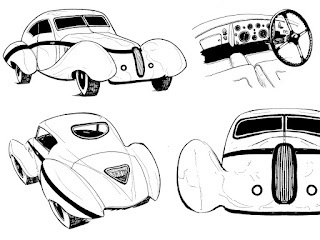 These are vehicle designs I did for class, and I made the assignment relate to Rumspringer. 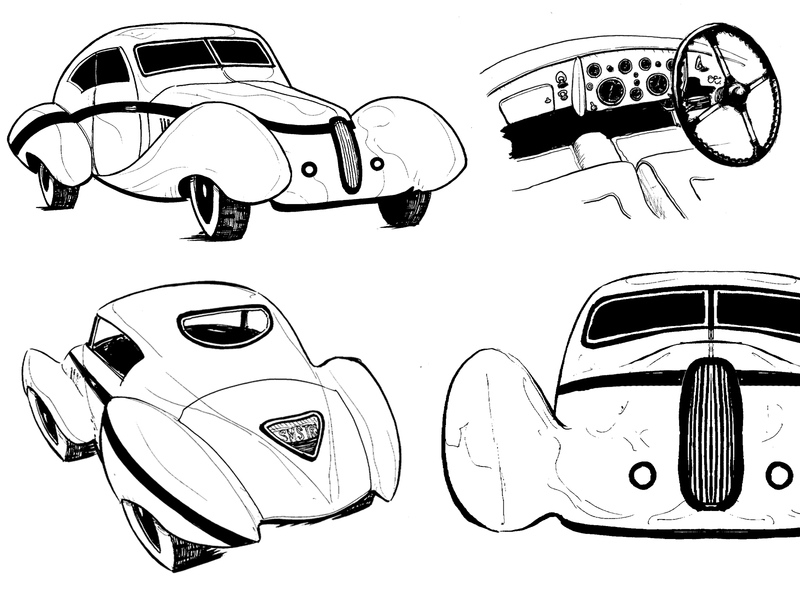 This car belongs to the evil fashion designer lady from my previous post and is sort of a mash-up between a Talbot-Lago and Delage D8. 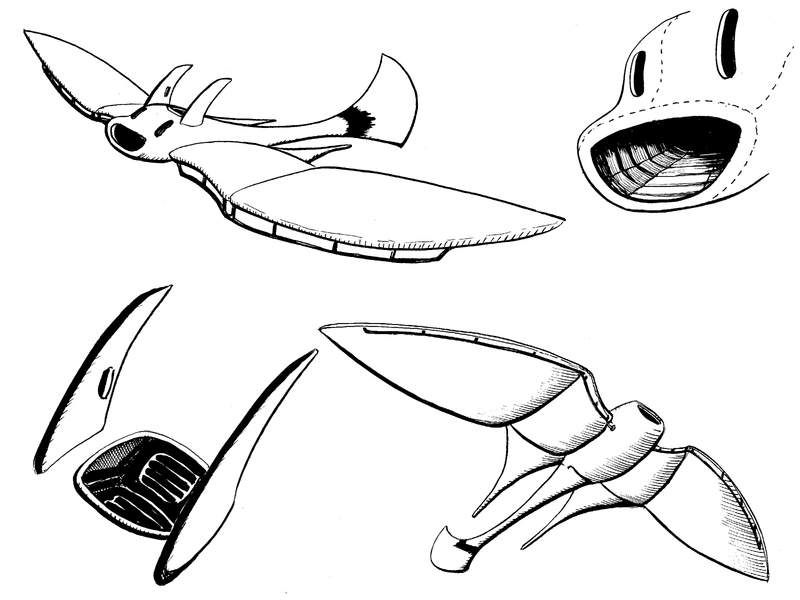 The glider is disguised as a creature from the Blazer world and is used by the Rift to stealthily enter the airspace above cities.